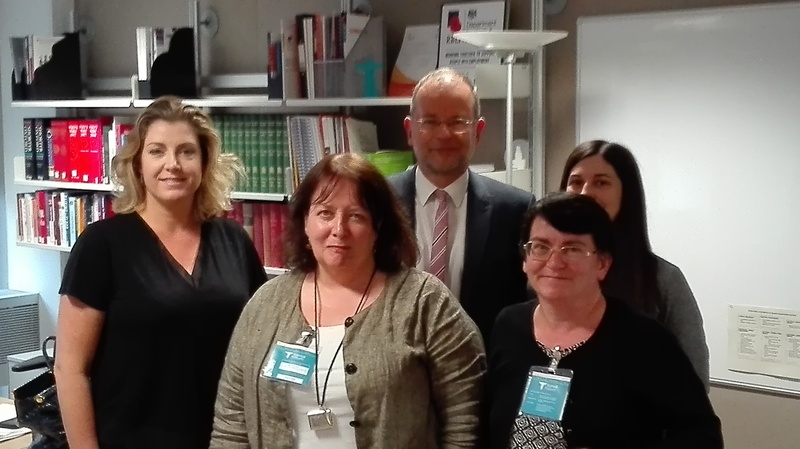 I took Citizens Advice Sheffield to meet Department for Work and Pensions Minister Penny Mordaunt to discuss the impact of changes in disability benefits and some of the problems people are now facing. The meeting followed my question in the House of Commons earlier this year, in which I asked the Minister to meet with me and Citizens Advice to discuss their report. I’m pleased that we were able to secure this meeting and I will follow up on it to make sure that it results in action. Citizens Advice Sheffield presented the findings from their recent report into the experiences of people who have contacted the service about the Personal Independence Payment benefit – some 2,235 enquiries between October 2015 and January 2017. Since the beginning of 2015, disabled people claiming the old Disability Living Allowance (DLA) have been transferring to a new benefit called Personal Independence Payment (PIP) – a process set to continue until the end of 2017. – Many people with severe walking difficulties have been hit by more restrictive rules which, for some, have resulted in the loss of their Motability car, despite their condition being no better than before. Under DLA they had been told they could have their car indefinitely. – A group of older disabled people have been hit particularly hard, as the rules mean they have no chance of regaining their entitlement to the Motability scheme even if their condition deteriorates at a later date. – Some Deaf people who communicate in British Sign Language have found that there was no interpreter available at their face-to-face assessment even though they had explicitly requested one. – A new early review mechanism introduced into the PIP process causes uncertainty about how long disabled people can depend on getting their benefit, something which is especially upsetting for people with mental health problems.